In today’s technological world, there is almost nothing your car can’t do. Technological advances such as navigation, satellite radio, and Bluetooth capability are designed to make driving less stressful and more convenient. However, features such as these are not without their drawbacks. According to the National Highway Traffic Safety Administration (NHTSA), any action or activity that draws your attention away from driving is considered distracted driving. Distracted driving has catastrophic consequences, taking the lives of 3,450 people in 2016 and injuring an additional 391,000 lives according to the NHTSA. In an effort to keep yourself and other motorists on the road safe, you should be aware of the common causes of distracted driving. Phones are such an integral part of our daily life. They provide us with the instantaneous opportunity to connect with the world around us. It’s no surprise that we’re drawn to our phones on almost a constant basis. When behind the wheel, however, is when our constant need to be connected, can have catastrophic consequences. Texting and driving is one of the most common causes of distracted driving – and one of the most dangerous. On average, reading or sending a text message can distract a driver for a minimum of five seconds. When traveling at a speed of 55mph, you can end up going the length of a football field without looking at the road. While it’s true that using your phone while driving is certainly a dangerous distraction, using a GPS or navigation system can be just as distracting. While these systems might be helpful in getting you to your final destination, they take your eyes off the road in order for you to see where the navigational tool is directing you. The same applies to an MP3 Player or any other device you may use for your music. It’s imperative to avoid using any type of handheld device when driving. Food is also a huge distraction while driving. Even though it may seem like an innocent gesture, reaching for food or a drink could cause you to lose control of your vehicle. In addition, eating or drinking can escalate quickly if you drop your food or spill your beverage, leading to an even greater distraction. As the driver of a vehicle, it is your duty to remain distraction free. This means not allowing your passengers to distract you, either. If you feel your passengers are becoming too much of a distraction, then you should let them know you need to concentrate for every person’s safety. It is each motorist’s duty to remain focused on driving when on the road. Unfortunately, not every driver meets the requirements of that duty, which leads to the many car accidents that occur across the country daily. If you practice safe driving but still end up in an accident due to another’s negligence, you should not have to suffer the burden. You should contact the Law Offices of Richard A. Stoloff in Linwood, New Jersey to make sure your rights are properly defended. Personal injury lawyer Richard A. Stoloff will put his experience to work to ensure you are properly compensated for any damages you may have suffered because of another’s negligence. 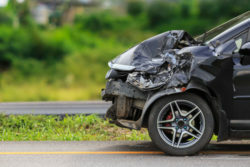 Contact the Linwood office at 609-601-2233 to begin discussing your car accident case.